I am the classic case of a woman who postponed starting a family to focus on her career while never believing that one day she would be facing infertility issues. I even believed that I could choose the month I wanted to get pregnant! I was almost 34 years old by the time my husband and I were out of school and settled enough in our jobs to start our family. I guess that is not really so old if there are no fertility issues, but if there are then time is definitely not on your side. By the time I turned 35 years old, we were living in Europe and began seeing a infertility specialist. In the middle of all the standard infertility tests, I managed to fall pregnant naturally. Our joy did not last long because at 8 weeks pregnant all that could be seen on the ultrasound were two empty gestational sacs. Nonetheless, the doctors felt that I had a good chance of getting pregnant naturally. I even had a laparoscopy done which showed that nothing was wrong. The doctors believed we had a good shot at IUI so we did 3 unsuccessful cycles before moving onto IVF. I was 36.5 years old (tick tick tick) by the time we did our first IVF cycle. I always responded well to the medicines so we were confident that IVF would work for us. Our first cycle failed and our second cycle resulted in a chemical pregnancy. Frustrated after our third unsuccessful cycle, we changed clinics and found a doctor that would take a more aggressive approach. After two failed cycles, we changed clinics once again. The next cycle at the new clinic ended like all the others. in which I had 3 decent looking embryos transferred on day 3 but none of them implanted. The obvious conclusion was that there was a problem with my eggs. At this point, after 6 failed fresh cycles, I felt I had enough and could not endure another cycle. Above all, I did not think I could get pregnant with my own eggs. One of the worst things about infertility is that it slowly damages your self-esteem. No matter how much you know in your head that it is not your fault, you can not help but feeling like a failure. And as if that isn't bad enough, I would like myself even less because of all the feelings of anger and jealousy I had. But above all, I could not imagine living the rest of my life without children. We searched the internet for egg donor options. In most European countries, it is illegal to pay egg donors so there are very few and the wait list is quite long. In the U.S., egg donors cost a fortune. We came across Dr Malpani's website. I was impressed by how much information was on the website, but most of all I was impressed with how well the emotional aspects of infertility were addressed. I began emailing Dr Malpani and he was always quick and thorough in answering all my questions. In fact, he was so quick in replying to my emails that I thought there must be something wrong! At one of the clinics we had been treated at we could not even talk directly with our doctor without making an appointment a few weeks to months in advance. After answering many of my emails, we felt that this was the right choice for us, but even so I was still a little unsure about going to a clinic in India and never having been there before or met Dr Malpani in person. 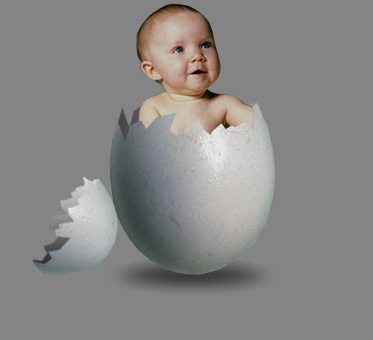 Dr Malpani found us an egg donor and 2 months later we were in Mumbai. I was still unsure about what to expect, but all my fears were laid to rest when we went to the clinic and were waiting with many other couples from around the world. Then after meeting Dr. Malpani and Dr Anjali Malpani I knew we made the right decision. We spent about a week and a half in Mumbai which was like a holiday for us. Everything was very smooth and easy. After I got back, Dr Malpani continued to answer all my emails and ease my mind whenever I started to obsess negatively until I took my pregnancy test and got a positive result! We were so excited but still cautious until finally we saw and heard a beautiful little heartbeat at 6 weeks. Now I am experiencing all the joys of being pregnant, including the dreaded nausea!